Golden Colts Video Slot is a western theme game. If you’re an avid casino player, you already know that they’re quite a few western slots you can have a spin on if you wish. But very few will give you access to as many features as this one. So don’t miss the review we’ve prepared for you below. To sum up, Golden Colts has 7 features, and your key to unlocking them is to get 3 or more Scatter on the reels. The Scatter in this game is a silver skull, and after landing 3 in view, you’ll trigger a bonus wheel. The bonus wheel has 7 different symbols on it. Indeed, 4 are the main characters, one Wild, one Scatter and one symbol with the 4 main characters “Ace-high gang”. So let’s look at what the feature each symbols trigger. When the wheel stops on the 4 gangster symbol, you’ll play 3 Free rounds with a 4×4 Mega Symbol. The Mega Symbol can either land on reels 2 to 5 at any point while you play your Free Spins. If you’re so lucky to get the wheel to stop on the Wild bull symbol. You’ll instantly play 3 Free Spins with Stacked Wilds. Indeed, during this bonus game 1 to 2 reels can go entirely Wild. Is represented by a skeleton cowboy. In essence, this feature will give you 1 Free Spin with 1 Re-Spin. The Re-Spin is triggered when the Sheriff cover an entire reel or when the sheriff symbols form a 3×3 block. When the blue cowboy symbol lands on the wheel you’ll trigger 1 Free Spin with a multiplier up to 30x. This symbol will automatically trigger 1 Free Spin with a 2×2 sticky symbol. Very much like the Law of the Wild symbol, you’ll trigger a Re-Spin with every new gambler symbol that lands in view. Is represented by the cowgirl and will give you 1 Free Spin with a colossal symbol. Know that the reels will keep on re-spinning until you win something! In essence, the symbol will trigger a Pick n’ Click game! 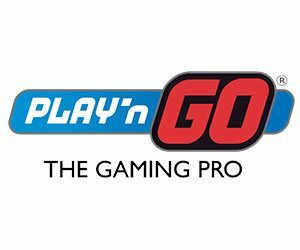 All experts agree that this Play’n Go video slot is pretty awesome. However, this game has striking similarities with another Play’ n Go slot called Wild North. So could it be a reskinned game? We’ll let you be the judge of that!